I have been using the Smith & Wesson M&P15-22 MOE for several months now. I initially purchased this firearm for my two young boys to start shooting and because of the crazy price on ammunition in recent months. I also wanted a fully functional .22lr AR for supplemental training/trigger time. As I have been shooting this with my boys, I have found it to be useful in several areas. Before getting to technical, I have to say this is one fun rifle to shoot. 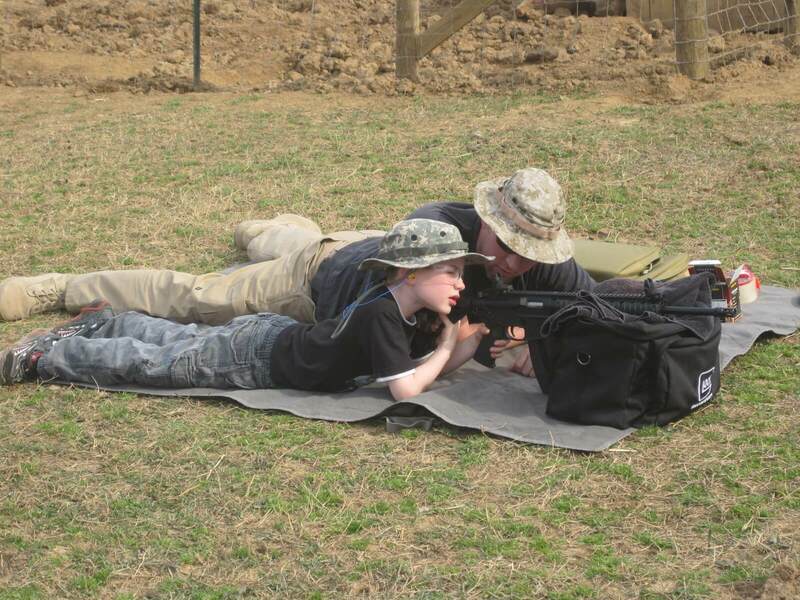 My boys love it and have had so much fun shooting the M&P15-22, it is worth the money alone for that purpose. Our friends at Herd Tactical hooked me up with the M&P15-22 MOE at a very nice price. When I was able to handle the rifle at home for the first time, I realized the M&P15-22 was going to be very versatile, for me and my boys. The Smith & Wesson M&P15-22 functions just like an AR15 in 223/5.56mm and is basically the same size as its full power/center fire counterparts. Takedown is almost identical to AR15 variant rifles. Simply push out the takedown pins, pull out the carrier group and charging handle and your done. The charging handle, bolt release, last round lock back, magazine release and fire control function the same as a standard AR15. 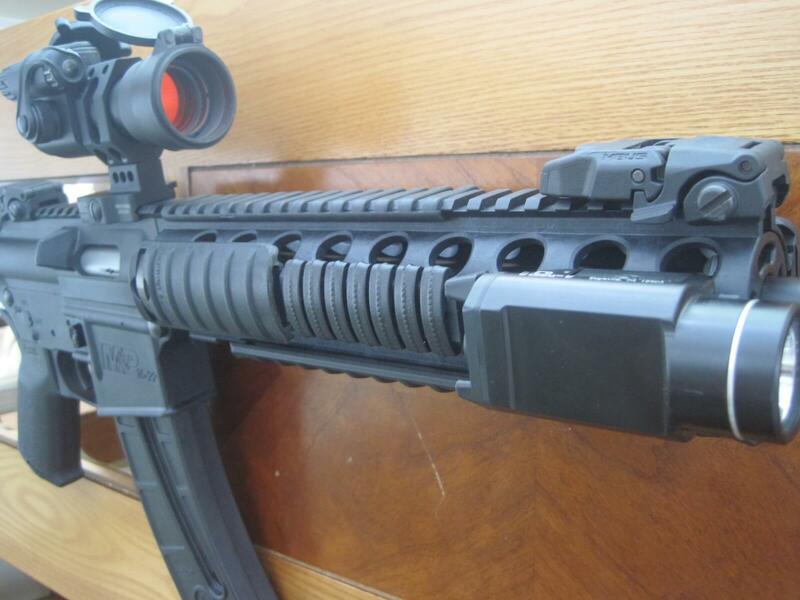 The M&P15-22 also has a built in 9″ picatinny rails system. 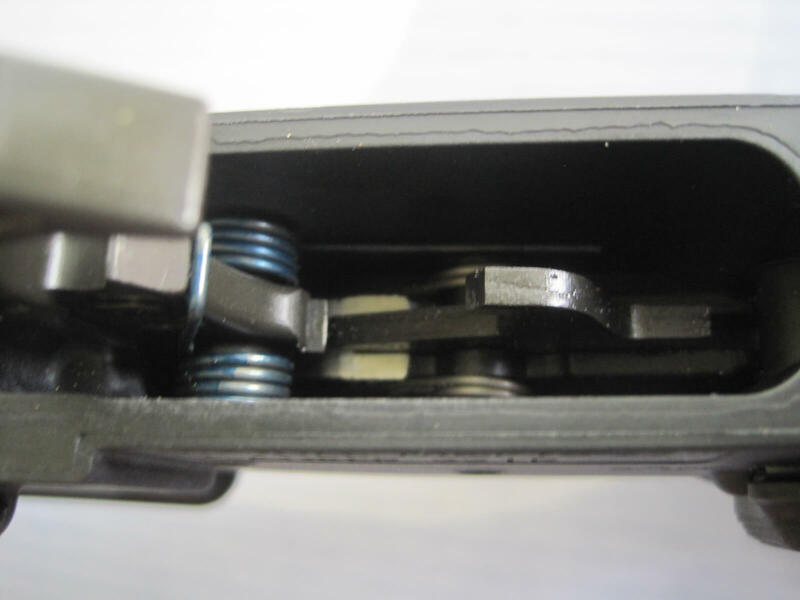 With most .22lr conversion kits or dedicated .22lr AR’s, the bolt release and last round bolt lock back do not function. Although the weight of the M&P15-22 is light, once you start adding a few accessories the weight starts to add up, but it will still feel lighter than your 5.56mm AR15. If you are going to purchase the M&P 15-22 make sure you purchase the MOE version. The MOE version is outfitted with Magpul furniture and sights. This is really the best bang for the buck as you are getting the Magpul accessories at a significant value. In most cases I found you get the Magpul accessories for only 50 to 100 dollars more. If you were to purchase these items separately, they would cost you close to or over 200 dollars. The MOE version also comes with QD sling points on each side of the lower receiver/buffer tube area. When considering buying the M&P15-22, I was also looking at bolt carrier drop in conversion kits, for my AR15. When I started looking at prices, the Smith & Wesson was only about 100 dollars more. To get a drop in kit to function with all of your AR15 controls, you have to buy additional drop in parts. For example: the CMMG kit with all the functional upgrades was pushing 400 dollars. The S&W made sense, cost wise and it is a dedicated fully functional platform. With a dedicated .22lr rifle, I would not have to deal with changing parts in and out of an AR15 upper. Also, you get better accuracy at longer distances with a barrel twist of 1:16″ on the M&P15-22 . I have not pushed the limits of accuracy on the M&P15-22 but it is very accurate, probably more than I am. I bought it as a plinker for my boys and trainer. I have had very nice groups at 75 yards with el chepo ammo and I will push the accuracy/distance in the future. The Smith & Wesson M&P15-22 will take all of the same accessories that your AR15 can take. I did some small modifications with a dermal, to small portions of the front and rear rail sections, so the KAC rail panel clips would mount properly. I recently purchased a set of LaRue Index Clips and they also worked on the picatinny rails. The LaRue Clips were just as secure as on my KAC RAS rails and Colt LE6940 rail systems. I had no problem mounting optic mounts, rail panels/ladders, i.e (KAC,Tango Down, Magpul and LaRue), lights, hand stops, vertical grips and other 1913 picatinny rail accessories to the M&P15-22. Due to the rail system on the M&P15-22 being polymer, I would suggest adding a rail panel system more robust than the soft ladder covers. This will protect the polymer rail system from being damaged inadvertently during fun range time/training . 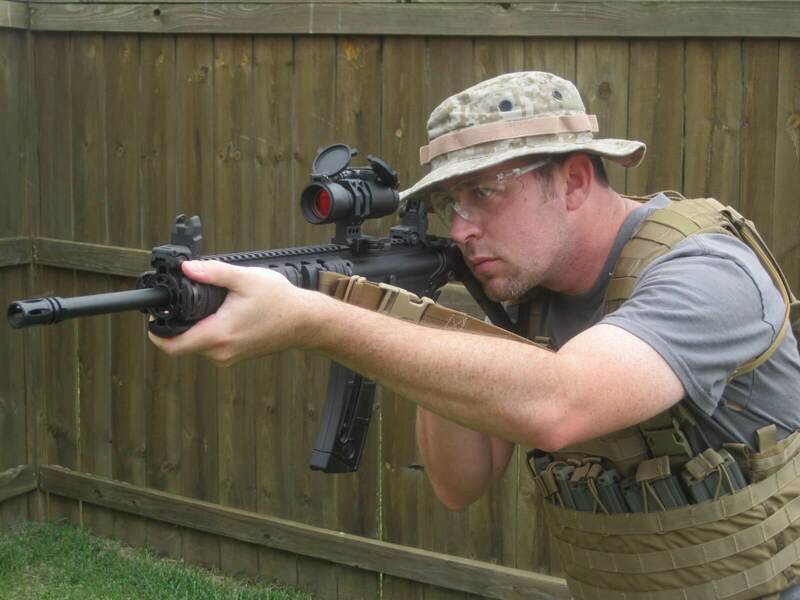 I used several different slings (Tactical Link and Gear Sector) with QD swivels, with the M&P15-22 MOE QD point. I had no issues with the QD point, pulling on it as hard as I could. This really should not be an issue at all, as the M&P is very light. Even with numerous accessories on the rifle it is still going to be much lighter than your 5.56mm AR15. From what I understand you can drop in any replacement trigger system you would like as lower is .154 pin compatible. I don’t think spending a lot of money on a nice trigger system is really worth it on a rifle like this. While only full power 5.56mm training can give you the real feel, the right .22lr can supplement your training at a substantial lower cost. The Smith & Wesson M&P15-22 does this very well as it functions exactly like your 5.56mm counterpart. I think one big benefit is in movement drills, where you want to improve your moving fundamentals and weapons handling, with some feedback at the lower cost of .22lr. I found that you lose no weapon manipulation skills while running and gunning with the M&P. I transferred all the accessories I use on my defensive 5.56 AR15’s to the M&P15-22. This gave me the feel of my full power counterparts. 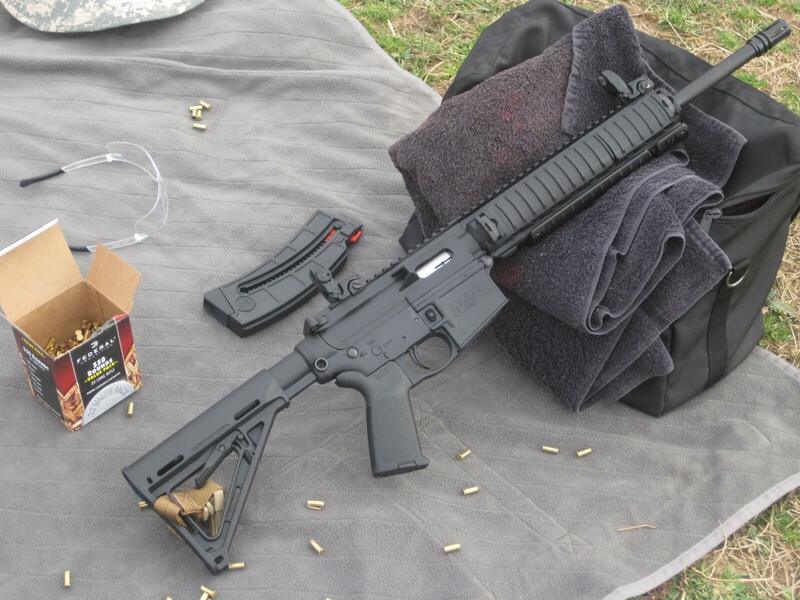 I’ve had a few malfunctions with the M&P15-22 but I could not fault the rifle. In every case the firing pin had a good strike on the round, the round just did not fire. This was with Federal Champion Bulk ammo and I’ve only had three (3) that I remember. I had no failures to extract or failures to feed in the M&P. The .22lr rounds is inherently problematic when it comes to reliability. No .22lr is ever 100% reliable and I have never had one that was. I found that the occasional stoppage helped in a training setting, for malfunction drills and sidearm transitions. 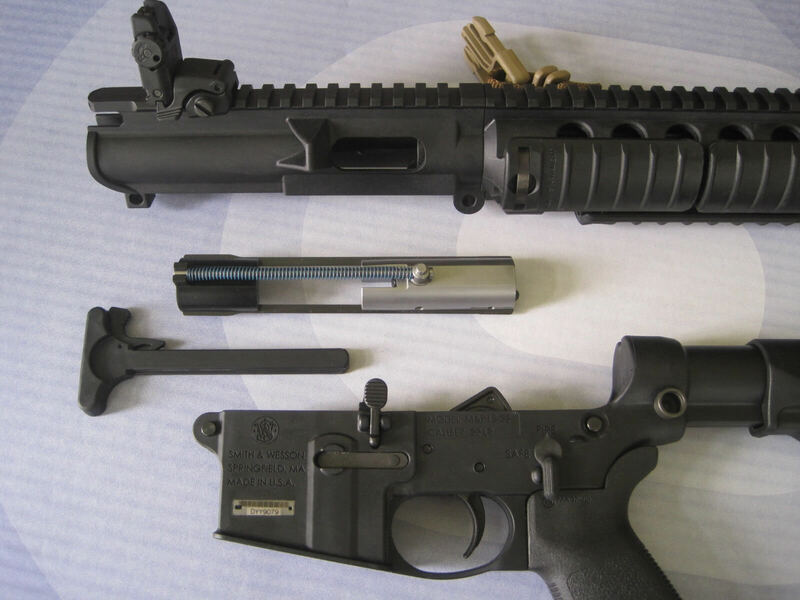 An actual stoppage in a quality 5.56mm AR15 just does not happen very often. Most of the time you have to set them up with dummy rounds in training. With a .22lr you are just going to have them time to time, no matter what. The trigger is nothing special. It feels close to a Mil Spec. trigger break. It does have a long spongy pull before it breaks. You are getting a trigger pull the feels close to your AR15 trigger, definitely not better. One of the best things about the Smith & Wesson M&P15-22 is how much fun the little ones have plinking with it. This was my main purpose for purchasing the rifle. I thought a lot about whether to go with a Ruger 10-22 for my boys first firearm. I went with the Smith & Wesson for several of the reasons stated above. With my supervision, it is easy for my boys to hold and manipulate the controls. They have so much fun with the rifle that is just like, “daddy’s big guns”. The whole family can spend an entire afternoon shooting the M&P15-22. With the low price of .22lr, hundreds of rounds of quality plinking can be had by all. I find we simply lose track of time, we are having so much fun. The kids seem to be picking up the Magpul sights fast and were on target after the first few rounds. I really like the Smith & Wesson M&P15-22 MOE. It has become one of the most enjoyable all around plinking rifles I have every owned. As I said before, this thing is just fun to shoot. I can only remember a few malfunctions (Failures to Fire) with the rifle. All of which I determined to be ammunition related as they had good firing pin strikes. Other than that the rifle has function flawlessly. The M&P15-22 can fill a supplemental training roll to offset the cost of 5.56mm training. When using the M&P15-22 for training, I would suggest starting the training and ending the training with your center fire rounds. Also, make sure you are incorporating the .22lr in the appropriate areas for training. You do not want to rely on the .22lr as a primary training tool. If you are just looking for a super fun and accurate .22lr plinker in an AR platform, the M&P15-22 more than fills that roll. Pure fun for everyone is what the Smith & Wesson M&P15-22 MOE is all about. Should You Really Just Carry What is Comfortable & You Shoot Best?